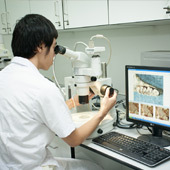 On January 28, 2019, Assoc. 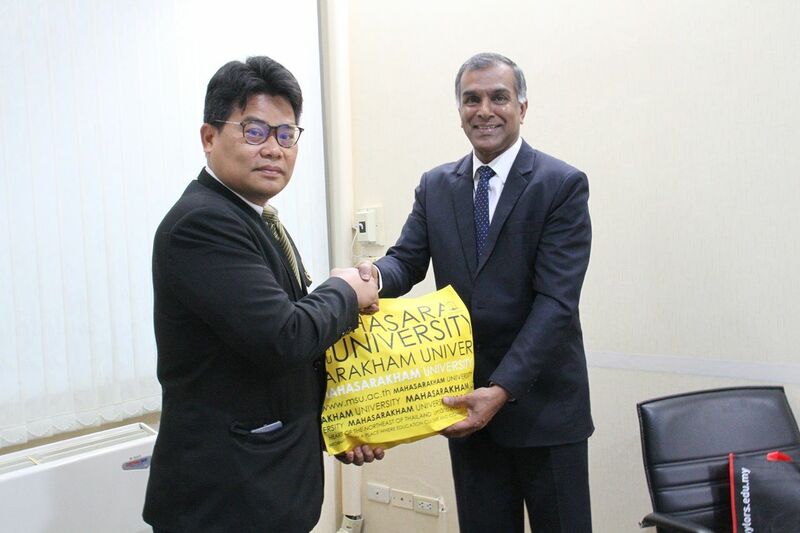 Prof. Prayook Srivilai, Vice President for Research Policy and Planning, Mahasarakham University, gave a welcome speech to Emeritus Professor Dr. Paraidathathu Thomas, Executive Dean at the Faculty of Health and Medical Science, Taylor’s University, Malaysia, who visited Mahasarakham University for exchanging knowledge and bonding relationship between both universities. 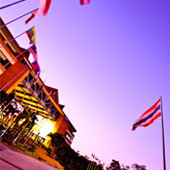 Mahasarakham University has had a good relationship with Taylor’s University, and also send students from Faculty of Pharmacy to attend exchange program in Taylor’s University. 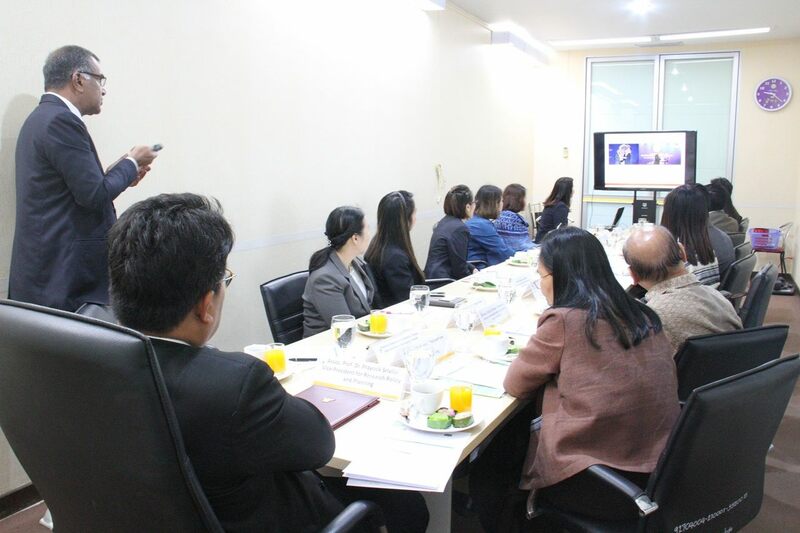 There was a discussion between Taylor’s University and Faculty of Medicine, Faculty of Public Health, Faculty of Nursing, Faculty of Veterinary Sciences and Faculty of Pharmacy. 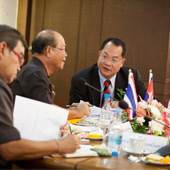 Mahasarakham University hopes to collaborate with Taylor’s University in the future, such as personnel and researcher exchanges, including various academic cooperation.